Gary Barlow has been tipped to leave the show following two stints in the job. It's been suggested that Simon Cowell could return to the ITV1 show next year to boost dwindling ratings. But Bright Lights star Tinchy reportedly told We Love Pop magazine: "Yo, Sir Cowell, how about you let me come be on the panel and let them know how it's going, ya know?" 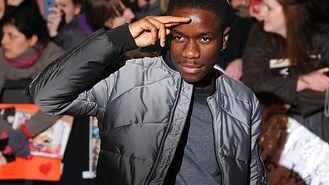 Tinchy is a big fan of the show and publicly endorsed Ella Henderson, who was axed at the weekend, at the start of the live programmes.